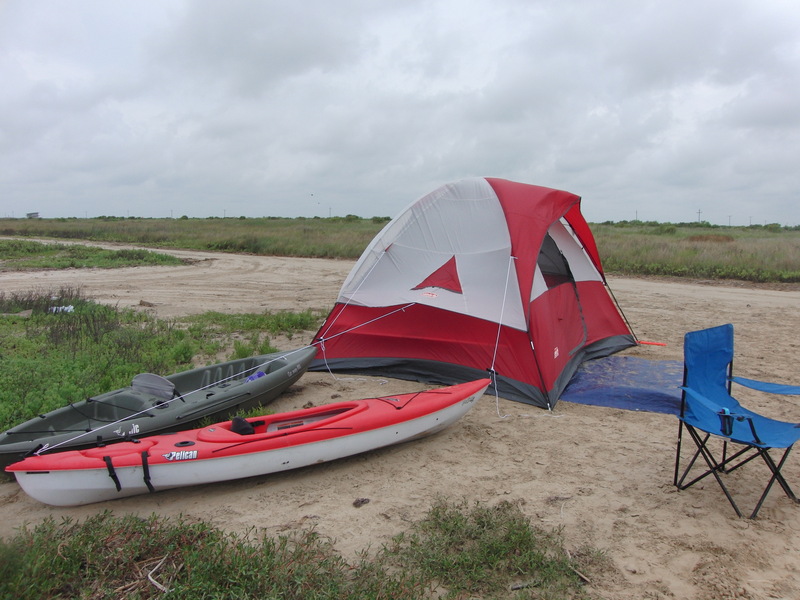 We just spent a wonderful Memorial Day weekend at Sea Rim State Park! This was our first visit, but definitely won’t be our last! Check out my list of my 10 favorite things about this wonderful coastal get-a-way, which will be hosting a Grand Re-Opening in June after being destroyed during Hurricane Ike in 2008. My favorite thing about this park is, of course, the beach! With over 5 miles of shoreline, there is plenty of room to explore. Cars are also allowed on the beach, which makes it easy to unload all the toys my kids brought for a day of fun; football, kites, sand toys, boogie boards and nets for catching fish and crabs! Because the beaches are still rebuilding from Hurricane Ike, the sargassum is left on the shore, which breaks down and makes better beaches and dunes. We love to search the fresh sargassum for shrimp, fish and crabs, and have hopes of one day finding a seahorse hiding in it’s delicate branches. Bring a short toothed rake to clear it from where you are sitting. While one of my personal favorite features of the park, the remote location makes it not for everyone! Be sure you have EVERYTHING you need before heading out to the park, because it’s a 20 mile round trip to Sabine Pass’ ONE convenience store, and you are a 60 mile round trip to a grocery store or restaurant! The park does not have a store. However, this also makes for less crowds and traffic, which can be a very good thing! It’s funny, but we didn’t really feel that secluded since the entire park has WiFi, provided by Texas Parks and Wildlife! Our hardest choice was deciding where to camp, on the beach or in a camping site. Unlike most state parks, camping was on a first come basis during our visit. There are 15 RV/tent sites, with electricity and water (the electricity wasn’t turned on yet, but should be by their Grand Re-opening in June). They also offer a picnic table (w/o a shade, so bring your own) and a fire ring with a grate. Restrooms (porta-pottys) and open beach showers were also nearby. However, we choose to camp on the beach, and be lulled to sleep by the crashing of the waves. Even though it was Memorial Day weekend, we literally had the beach to ourselves after the sun went down! 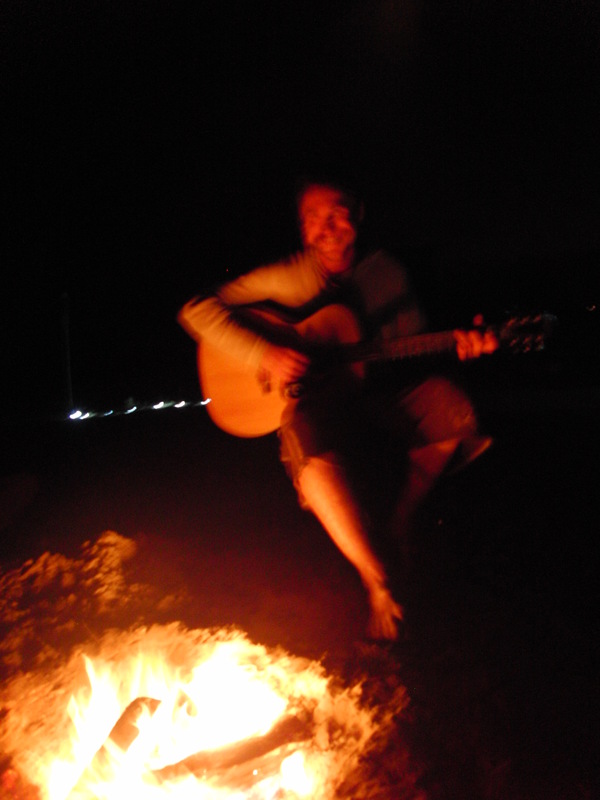 We brought our own firewood for smores after dinner, and a young couple from Tulsa we had met earlier on the beach joined us for campfire songs under the stars! It was perfect! The East and West ends of the park boundaries are for overnight camping, and we choose the East end. McFaddin Beach is a FREE beach next to the West end of the park, which allows overnight camping and was very crowded. Overnight beach patrols by the park police assured us of a great family camping experience, and completely justified the $10 we paid for camping in the park. My daughter and I woke early the next morning for a walk along the Gambusia Nature Trail, a 3/4 mile boardwalk trail through the marsh. The boardwalk is only about 6 inches above the water, and we were amazed by all the blue crabs living in the vegetation, that poked out at us and snapped their little pinchers in warning! We saw many different birds and ducks along the boardwalk. I was a little disappointed that we only saw one small alligator, swimming along quietly some distance from the boardwalk, and too far for me to get a picture. 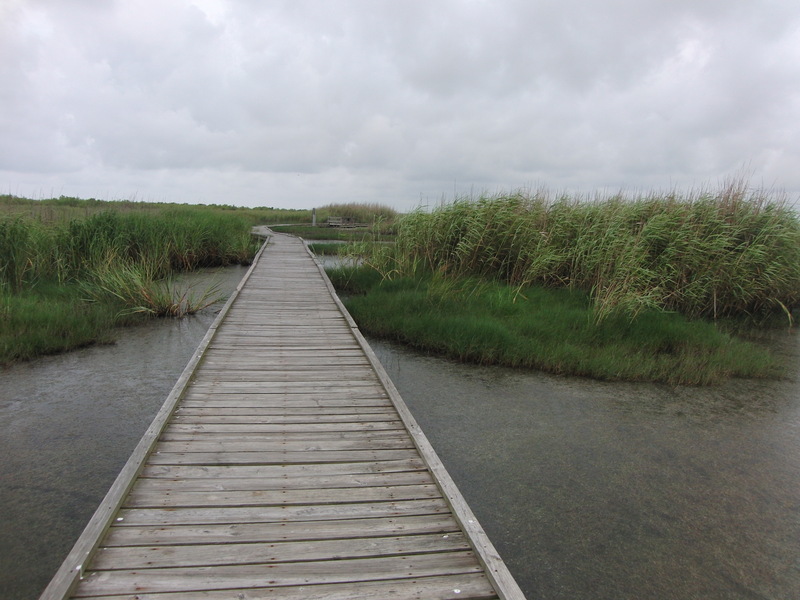 There are a few places to stop and sit along the boardwalk, and just watch as the marsh comes to life with crabs, birds and fish seeking out a meal. 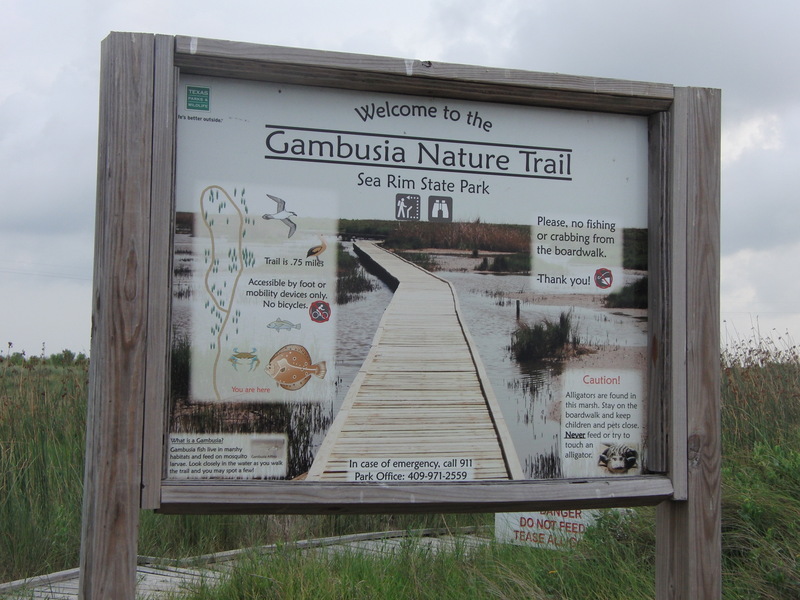 The boardwalk is named for the Gambusia fish, which live in the brackish water eating mosquito larva. 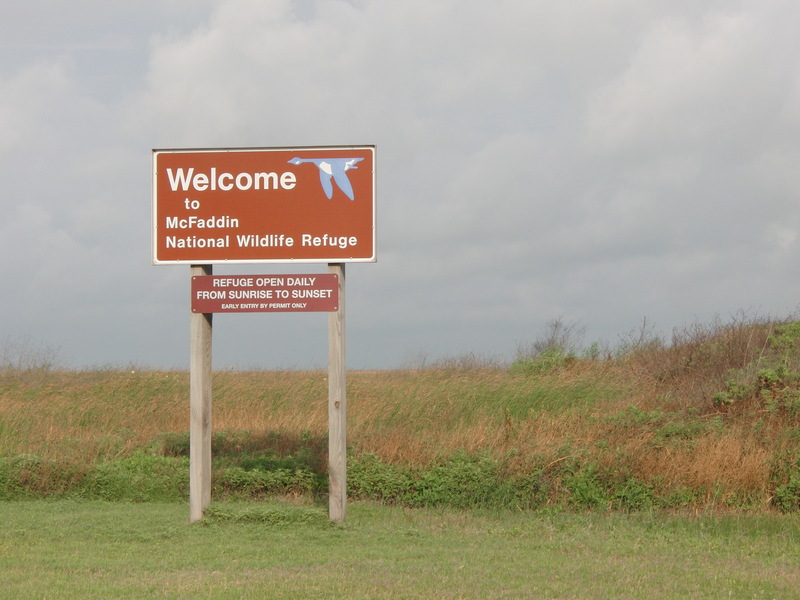 Located next door to Sea Rim State Park is McFaddin National Wildlife Refuge. The 55,000 acre refuge is open daily from dusk to dawn, and FREE to visitors. We drove through and watched people fishing and crabbing along the banks, and saw another small alligator as it dove in the water after hearing our car. The refuge’s freshwater and brackish lakes are a winter home to thousands of migrating ducks and geese, and I would love to return then with our bikes, riding from the state park through the refuge! Imagine all the wildlife you could see without the noise of a car! If the port-a-pottys at the State Park are worrying you, here’s a great tip! 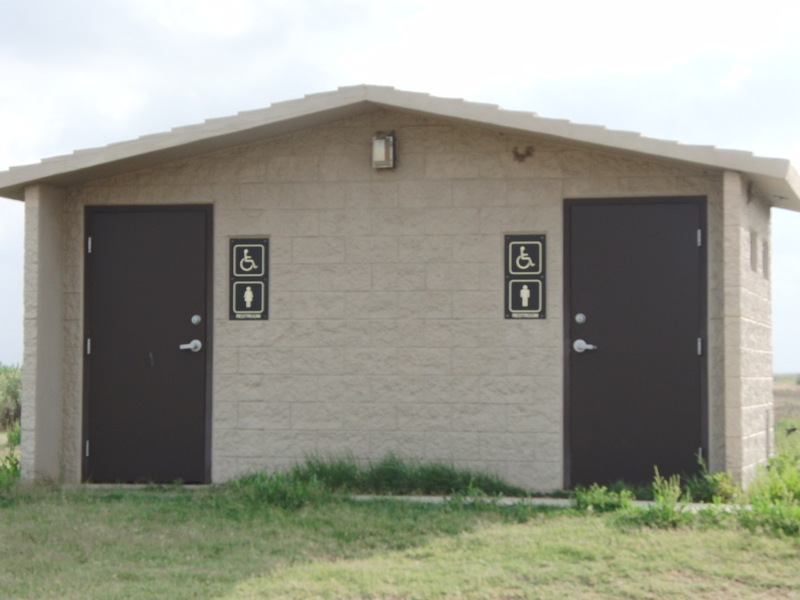 There are real restrooms located at the entrance to McFaddin, with running water. You are welcome. 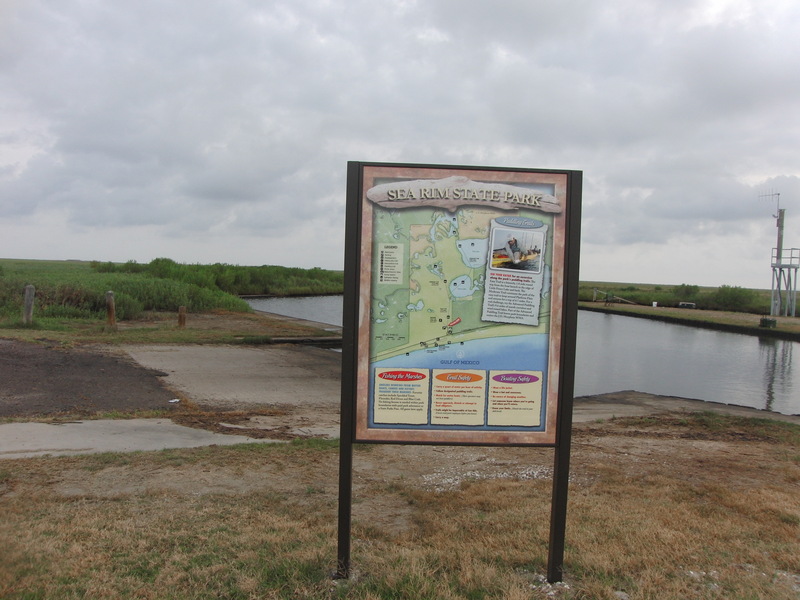 Across the road from the beach, the park has a Marsh Unit for exploring the freshwater and brackish marshes that define this section of the Texas coastline! 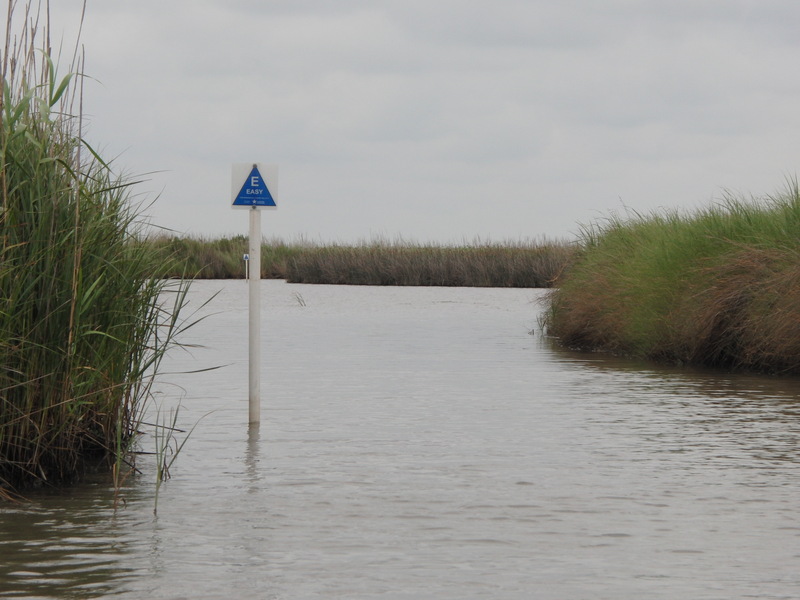 A small boat slips allows you to put in canoes, kayaks or shallow boats. The water depth is only about 2 ft. and lower during low tides, so check a tide schedule before setting out. Trail maps are available at the put in. There is also a 1 mile hiking trail on this side of the park that takes you into the marsh. It’s one of the many things we didn’t have time to do! There are 3 trails, an easy 1.79 mile trail that takes you out into Little Fence Lake. We loved the Moderate trail, at 4.72 miles, it slipped down a very narrow waterway to shallow lake. We thought this was our best chance for seeing an alligator, but none were visible. The Advanced Paddling Trail takes you 9.59 miles and across Fence Lake and Salt Lake, into the J. D. Murphree WMA. The park does not rent canoes or kayaks at this time. Hopefully this will change so more people can explore this wonderful side of the Gulf! Sometimes, the best part of fishing is seeing what OTHER people catch, and watching them fight to bring it in! We cheered as a man fishing on the beach brought in several redfish, each weighing over 30 lbs. Once he got a good picture, he released them back into the Gulf! I love fishing in state parks, because a fishing license is not required while in the park. It’s a great place to try it out, and find out if you like before investing in a license! 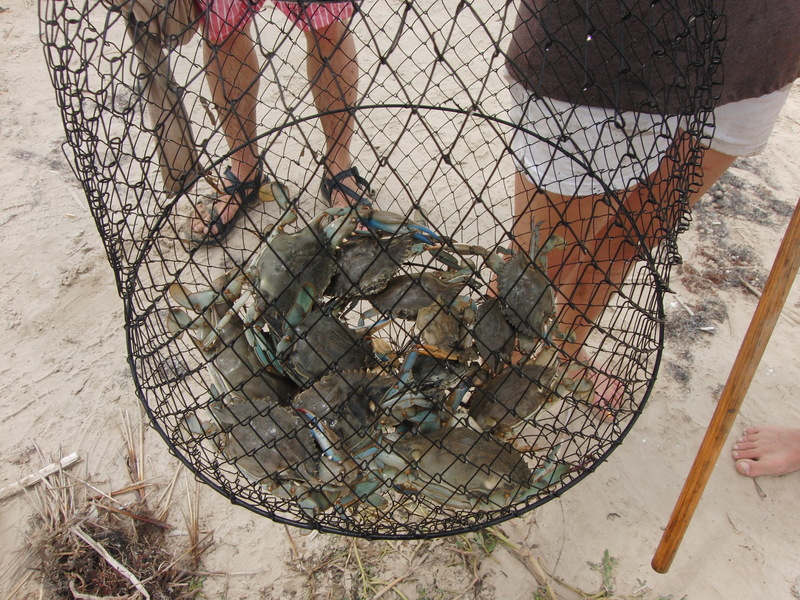 My older kids decided to take a crab net down to the little tide pools by the parking lots and catch some of the blue crabs we saw there. We didn’t have any bait, so they took some left over hot dogs from lunch. My husband and I were busy looking for shells with our youngest, and the next thing we knew they came walking back with a basket full of blue crabs! They hadn’t even needed to use the hot dogs! 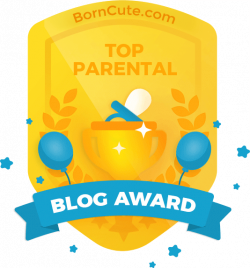 I’m writing this in shame, because we didn’t take our dogs. I THOUGHT about it, but since it was our first time to visit, I wasn’t sure what to expect and we left them at home, and that was SUCH a mistake! The park is SO remote that there just isn’t anyplace you would go without your dog. As in any state park, all dogs are required to be on a leash of 6′ or less. 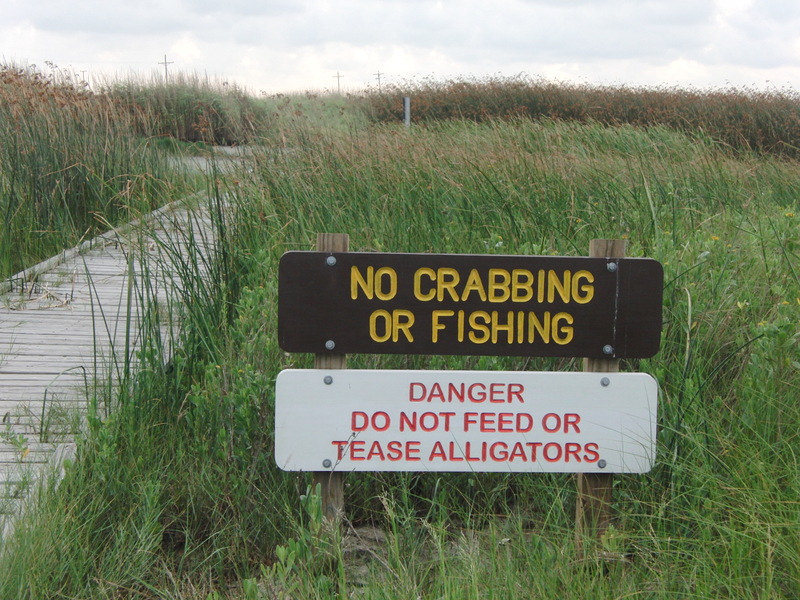 Do BE AWARE of the presence of alligators in the nearby marsh, and always have control of your dog. There is an amazing thrill you get from seeing an alligator in the wild, whether it’s your first or your 101st! 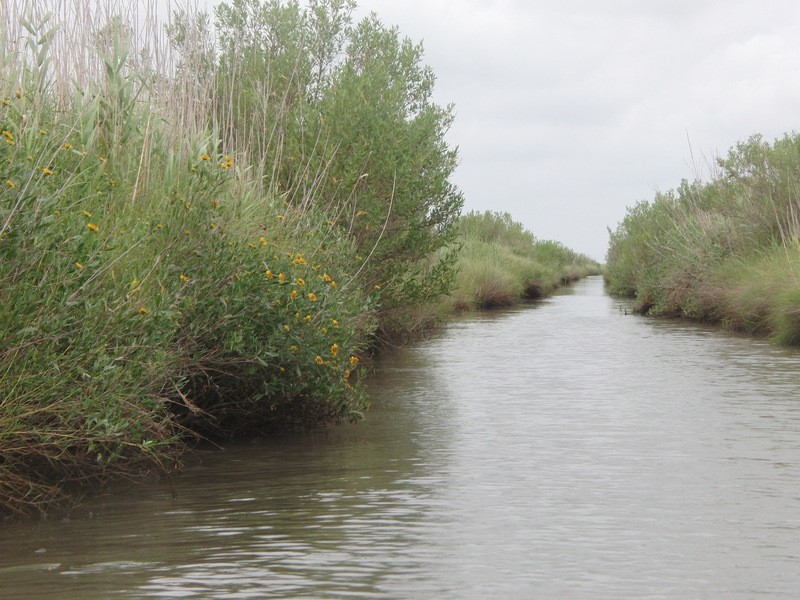 These animals have always been native to the Texas coastal bays and marshes that lie along the coast, and there are large populations near Galveston and Corpus Christi, as well. 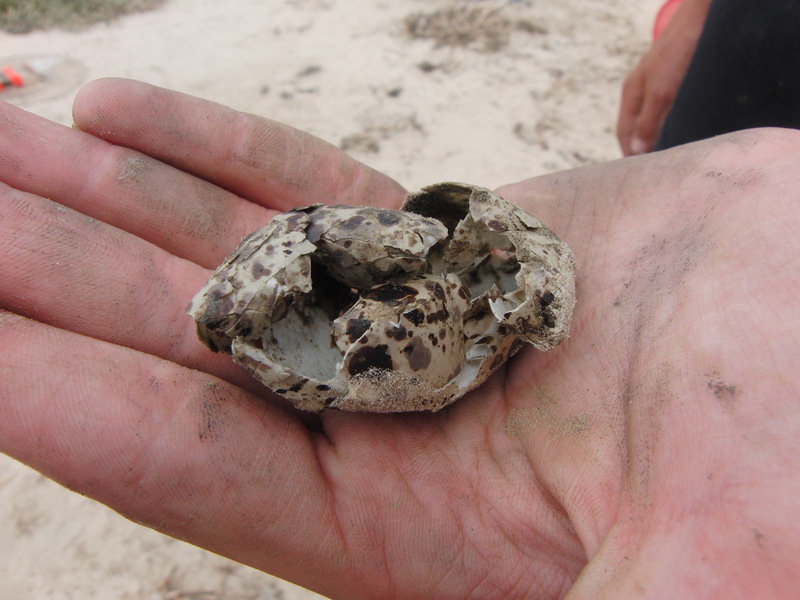 My children found an empty alligator egg near where they were crabbing, probably carried away from its nest by a bird or other animal. After an entire weekend of searching, we only saw two alligators at a distance, and this was the only one I was able to photograph! Standing on the beach, it’s easy to see the bits of trash that drift in with the waves. A collection of debris from the Neches and Sabine Rivers washes ashore after being spewed out into the Gulf. But the waves also bring forth a treasure of historical artifacts and fossils. Along these shores have been found the bones of prehistoric mammoth, mastodons and sabre tooth tigers, and well as the largest number of Clovis Points (arrowheads) found in Texas! 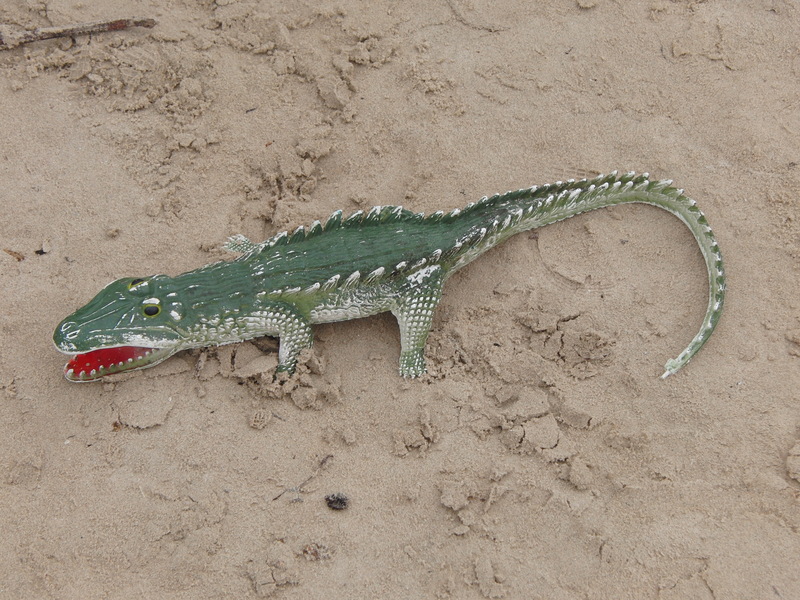 It’s important to keep in mind that it’s unlawful to remove anything you find in a Texas State Park. However, McFaddin Beach, a free beach located just outside the park boundaries, is well-known by fossil and artifact hunters, as well as shell collectors! The staff at the park was amazing, answering questions and helping to assure we had a great time! 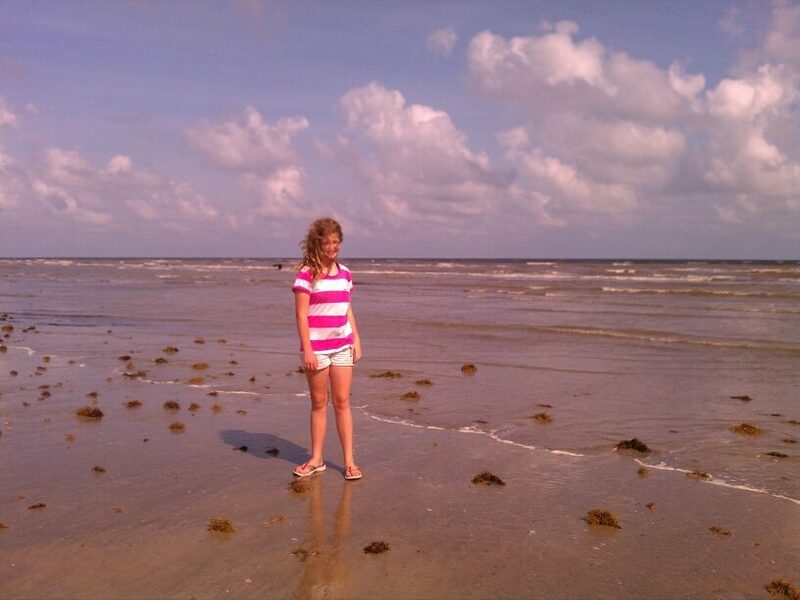 For more information on Sea Rim State Park, click HERE. To read a post by Chamberswild.com about McFaddin Beach, click HERE. For further information about the historical finds along McFaddin Beach from Texas Beyond History, click HERE. 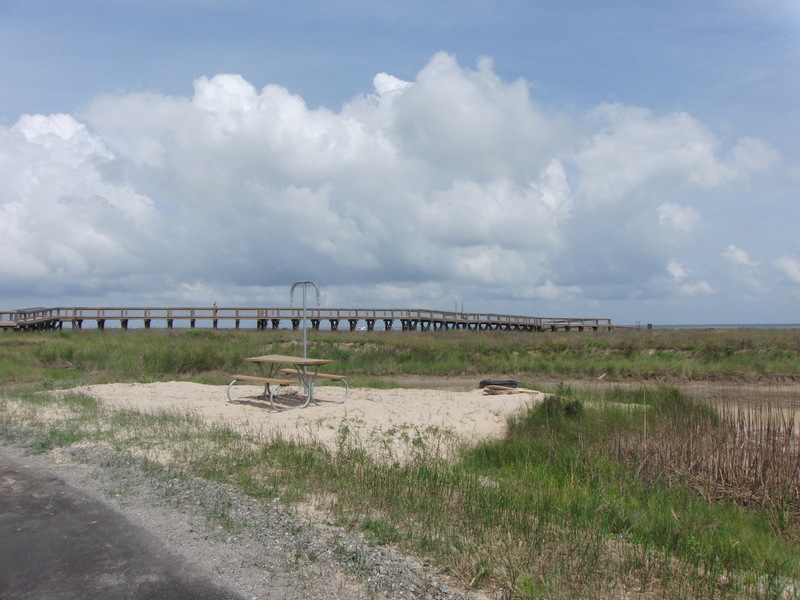 Sabine Pass State Historical Site is a site of a significant Civil War battle. Click HERE to visit their website.